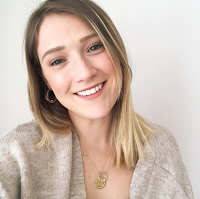 There's no shadow of a doubt Charlotte Tilbury has become one of my all time favourite brands and unfortunately for my bank account, but fortunately for my makeup collection, I've been slowly adding more and more of her beautiful products to my collection. The Charlotte Tilbury Golden Goddess was actually a gift from my boss when I left my old job I know how lovely and it's even got my name engraved on the mirror which sadly was too bloody hard to photograph which seriously just makes this palette so special. I already own the Dolce Vita palette and what I love about these quads is that all the products can be used in conjunction with them, or even on their own. They are perfect to carry around with you when travelling as they aren't bulky and sleek, oh and the packaging is unsurprisingly luxurious and beautiful. On first glance, this actually looks like quite a cool toned eyeshadow palette, which worried me slightly as I tend to suit more warm tones, but as you can see from the swatches, the shades definitely come out a lot warmer than in the pan, swoooooon! There are four shades in the quad, like the other CT luxury palettes, there are the shades, prime, enhance, pop and smoke. Prime: Is a beautiful champagne gold shade which I've actually been wearing it on it's own everyday for work. Enhance: Enhance is a dusty grey-toned shade, which actually works really nicely in this palette. As all the other shades are a lot more warm-toned, the enhance shade is beautiful to add into the crease. Pop: The pop shade in this palette is a shimmery gold shade to apply all over the lid. I have to say, I actually prefer this pop shade to the one in the Dolce Vita Palette, it's really pigmented and actually has a nice base shade rather than just pure glitter. Smoke: Last in the palette is Smoke, the dramatic shade. This is a burgundy-brown which I think can really make this palette go from day-to-night. I absolutely love this shade, as not only is it perfect to use in the crease but also under the lash line. I honestly think this is going to become my new favourite palette. 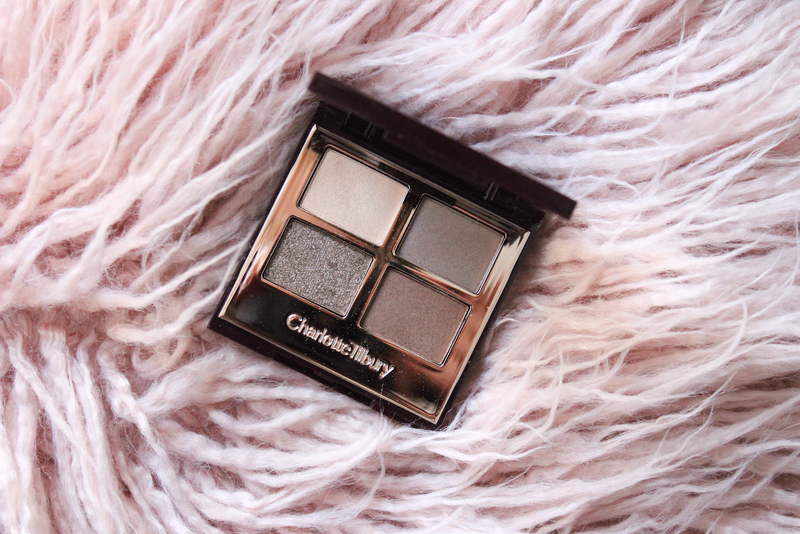 Like all the other Charlotte Tilbury products, the shadows are creamy, pigmented and long-lasting! Let me know in the comments below if you've tried the Golden Goddess palette, and if not, what's the next palette I should try! Such gorgeous shades in this palette - and having your name on the mirror is such a special touch! What a lovely present! This looks absolutely gorgeous, I love the CT quads so definitely going to add this one to my wish list! 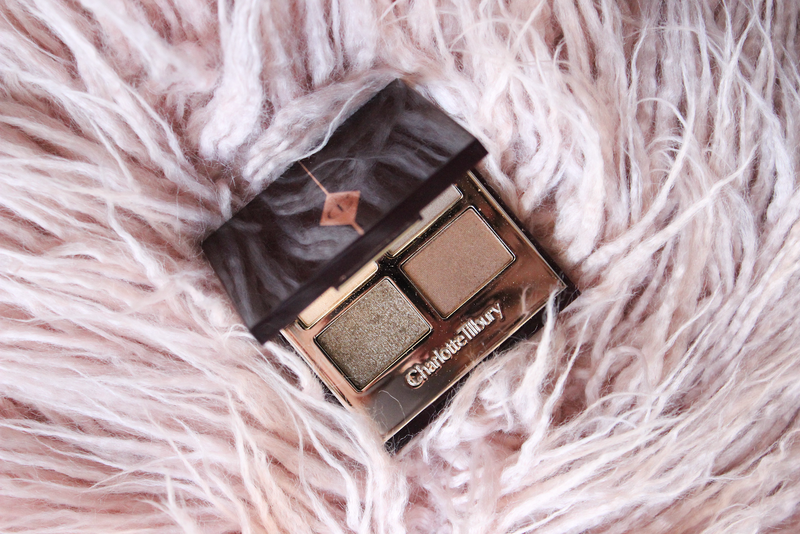 Charlotte Tilbury's quad's always look dreamy! That pigment too! 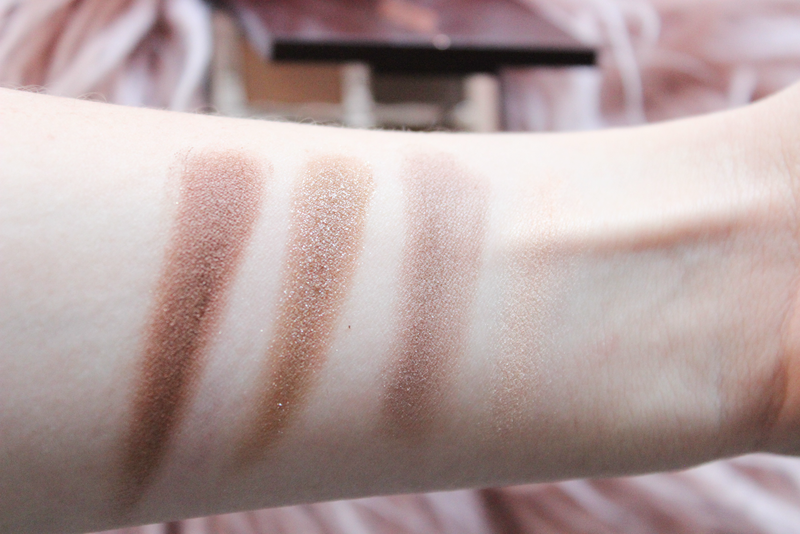 These are such lovely neutral shades - I really need to invest in some Charlotte Tilbury products! How wonderful she's got your name engraved on it as well! That's so special! I love how muted these shades are - very pretty!